YouTube premiere! My first self-made video is finally up on my channel. This video is an addition to my last blog post: what’s in my bag? Chanel GST. I’m nervous because I am way out of my comfort zone though. You can read more of why I feel this way here. But nevertheless, this is something I believe is a great addition to the pursesandpugs blog. 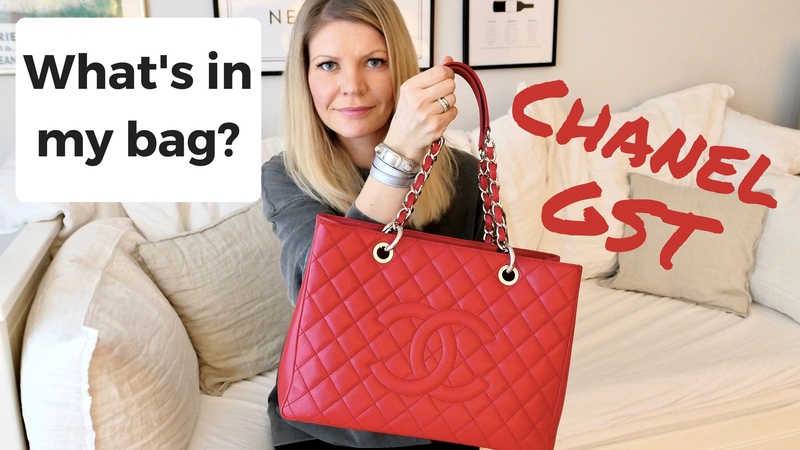 My goal is to bring my old and not very active YouTube channel back to life by making lighthearted videos for those who are interested in fashion, handbags and accessories. And if I set a goal, I always do whatever I can to achieve it. By making this video I realised it’s A LOT of hard work and I have so much to learn, both in front of the camera and the editing part. But you have to start somewhere. And it really helps that I love doing it. Maybe not so much the in-front-of-the-camera part, especially since I’m doing this in English and English isn’t my first language since I’m Norwegian. But oh well, I’ll get used to that. At least the editing is fun, although it takes a lot of time, and hopefully it will go smoother when I have more practice. So, let’s not drag it anymore out. Below you can check out my latest video. Enjoy! If you like this one and want to see more upcoming videos, you are more than welcome to subscribe to my channel.